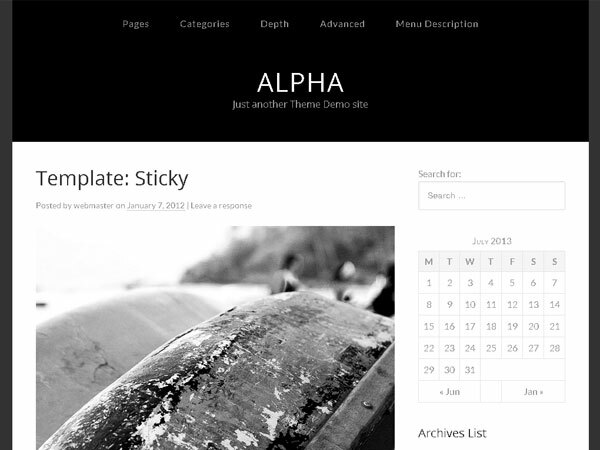 Family WordPress theme is a minimalist responsive HTML5 Omega child theme for WordPress. Built for people, blogger and photographers in mind, Family WordPress theme put the focus on the content itself, presenting it in a cleanest way. Family theme is perfect for a blog about people, babies, couples, children, photography, family gatherings, hobbies. Setup the family theme, upload pictures, share stories are super easy. 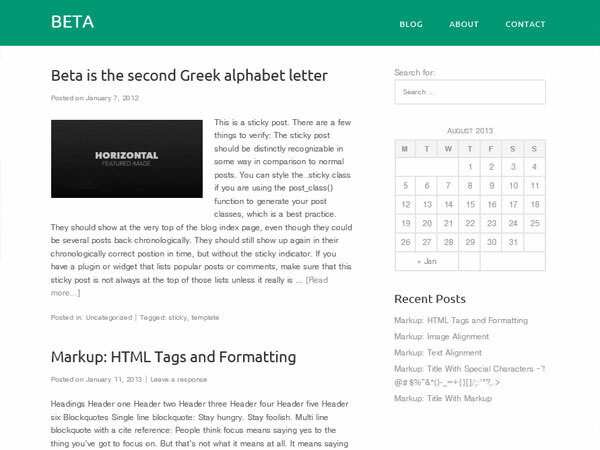 Beta is the second Greek alphabet letter and also the name of the second responsive Omega child theme for WordPress. Featuring big fat footer widget areas that introduced in Omega 0.3.4. The first responsive child theme for Omega, Alpha (Greek: Άλφα Álpha) not by coincidence is the first letter of the Greek alphabet. 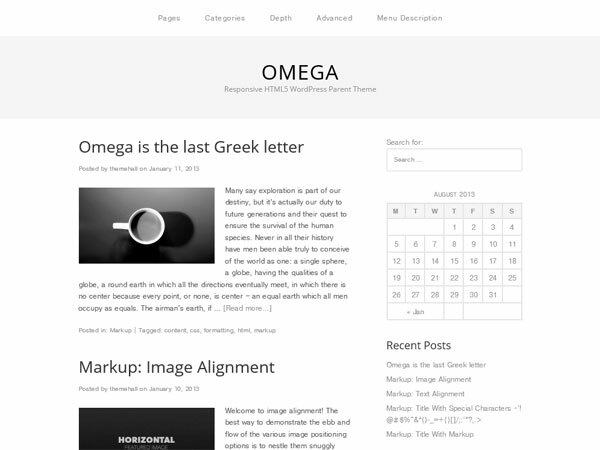 Omega is a Free responsive parent theme for WordPress.